How Do I Just “Start”? The Answer May Be Easier Than YOU Think! 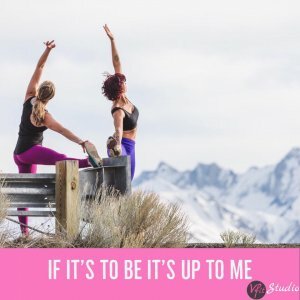 I was asked by a dear friend and fellow trainer last week to write a blog on “How to get people motivated to just START?!”. When you love exercise and value the positive impact it has on your life, it’s so hard to grasp why so many people you care deeply about, don’t feel the same. A sad reality is that only about 20% (I am probably being VERY overly optimistic) of the population workout on a consistent basis. We know we “need” to workout and that is does our body and brains a heck of a lot of good, but knowing isn’t enough. For years I would sugar coat the ease of working out to new clients. I loved it so much and saw the impact it had on my own life, I didn’t quite understand that not everyone would feel the same.. But I was leaving out one huge factor that I don’t think many people are ready to look straight in the face. Do YOU want it for YOU, more than anyone else around you? Do YOU VALUE exercise as neccesary to make your life better? When it matters enough, YOU 100% will make the time. My approach now with people is a lot more frank then it used to be. And it’s not rocket-science or complicated by any means…….. If you want to start something or get back to something, there is only ONE thing you need to do. And that is to have enough will to START! And then you need to keep showing up again, and again, and again AND AGAIN. People forget that part, they get side tracked for a week or 2 and when that honeymoon phase leaves and the original motivation they went into a program gets sidetracked, they do what they have always done….. they give up on it all together. A new habit or skill isn’t formed in a day, a week or even a month. It takes constant commitment to bettering yourself. To VALUING the person that you become through exercise and loving that person so much, you know you are worth that small commitment it takes to show up. People who have never experienced this side of exercise do not even know what they are missing. You need to throw away every pity party you have for yourself… every excuse you let sidetrack you…. every other obligation you feel compelled to get to….. all of the mental barriers of why today isn’t the right day. YOU you need to just SHOW UP. It can be for only 5 minutes, but you need to get in the habit of showing up and getting past all of those excuses that are keeping you away from experiencing your own personal greatness. No one, and I mean NO ONE (nope, not even me and my trainer team) feels like showing up to workout all the time. Our brain is a funny little muscle up there in our head. As much as we think we love challenge and change, there is a bigger force that always wants to keep us from reaching our true potential. Our brain is afraid of failing us. But once you have pushed past those mental blocks enough times, you value that the time you spend on your own self, carries over into the rest of our days and it becomes non-negotiable. You get to a point, that when your brain tries to play those little tricks to keep you from showing up, you know, where everything else that needs you more??? Well, after you show up enough times and stomp that voice like the pesky little ant is it, soon enough you can put that brain in check so fast, it runs for the hills scared of your willpower. That skill takes time though to cultivate and many people don’t want it bad enough and don’t stick it it long enough to ingrain exercise as a habit in life. They want that instant gratification that it should be easy once they just start. You brush your teeth and shower daily right (or almost daily I hope)? Those are just activities you do and it’s part of your days. They aren’t nearly as exciting as exercise, but the same foundation of doing it daily had to occur for it now to just be part of what you do. Exercise is SOOOOO incredibly powerful. It breaks my heart to see how many people treat it as a punishment or who take for granted a body that is able to move. It is a gift you can give to yourself that can improve just about EVERY other area of life. Yes, every other area of life. Your health, your happiness, your sleep, your productivity, your patience, your confidence, your gratitude, the length of time you can live a healthy and independent life, and on and on and on. Exercise is for your brain as much as it is for your body. Through exercise, you push yourself to discover new limits, you try new things, you work hard at things that may seem impossible on day 1 and over time see gains from your hard work. Those things carry over into making life better in every other area….Your relationships, your family, your job, your friends. You learn not to give up! That is no punishment! That is pride that you are earning for YOU! Starting something or starting over is HARD. It’s damn hard! And after so many times of doing it, no wonder people just give up. But what if that one day you “start”, is your last “first day back” ever again? How amazing would that feel? How proud would that make you of YOU! I’m not ignorant, I know it’s not that easy to just show up and start. But one thing I’ve learned over the years working with A LOT of people, from every and I mean every walk of life is…. No one can want it more than you want something for yourself. That is when it sticks like glue! SO today if you have been contimplating “starting”, or are ready to get back from a rut – RIGHT NOW, I challenge YOU to do just that. Stand up and do a minute of jumping jacks, go for a walk around the block, head to your favorite gym class, sign up for a VFit class…. JUST START! And not tomorrow. Tomorrow is some fantasy that often never happens. Do it RIGHT NOW – that is all you are promised in this life. And as you begin to start or if you are starting again, change the story you tell yourself about exercise. Make sure you are treating your body as the very sacred place that you have to live. You only get that one body, make it the best you can! Find people who motivate you, exercise you enjoy, a routine that works in your life and most importantly to ever stick to something long term….. know without a shadow of a doubt that YOU ARE ALWAYS WORTH IT!